Now Shopkins fans will have so much fun constructing iconic Shopkins scenery with Mix and Match buildable Shopkins figures in the best-selling Shopkins Kinstructions toy range. Separating into three pieces, the characters can be can be taken apart and rebuilt for hilarious results. Build a variety of colourful Shopkins locations – shop the latest trends at the boutiques, hang out at the cafes, or visit the beauty salons. Each set contains bricks that are completely compatible with other leading construction brands. Num Noms have finally arrived in Tesco and it has taken it by storm! Have you been able to check out these cute miniature characters yet? 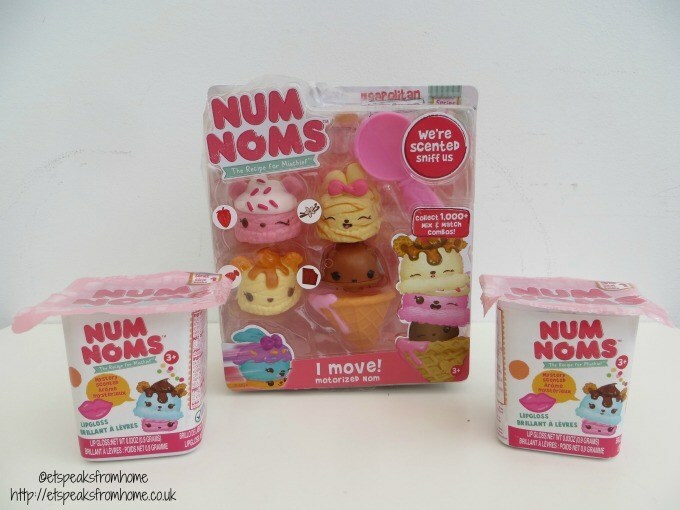 These characters were inspired by sweet foods and flavours, such as cupcakes and ice cream, the individually scented Num Noms are a recipe for mischief! Baseball cakelet is a recipe I found on Cupcake Envy by Amy Eilert published by Tuttle Publishing. She is a self-taught cake designer whose love of baking and working with her hands found a perfect outlet in cake making. She founded Cupcake Envy in Wake Forest, North Carolina in 2006. In this book, it showcases a range of her cleverly single-serving cakelets that resemble a stylish party dress, a desktop humidor, a cheery coffee cup, an adorable baby bottle, a wicked voodoo doll, a stylish purse and even a baseball! Yesterday, we all had such a great NickJrCraftmas party with UKMumstv and Nick Jr on Twitter. It was very manic and I had to reset my laptop once as I was unable to tweet photo. Also I was in Twitter Jail for tweeting too much in a short period of time. Anyway, we did quite a lot of crafts over the weekend! Firstly, I had used the given reindeer template to cut it out and play Pin the Nose on Rudolph. They were all very close to pinning the nose! Well done to them. If you have notice their eye masks, it is in fact toilet paper! I could not find any blindfold so I used toilet roll to cover the top half of their heads! Last week, I baked a chocolate cake, cut out cylinder shapes and made icing. Unfortunately, my icing was too runny and it ruined all my mini cupcakes! So I had no choice but to cheat as my guests were due to arrive. I bought the ready-made vanilla icing and a packet of cupcakes! So if you ever ruin your Christmas party snacks or need a quick Christmas recipe to impress your relatives and friends, look no further! 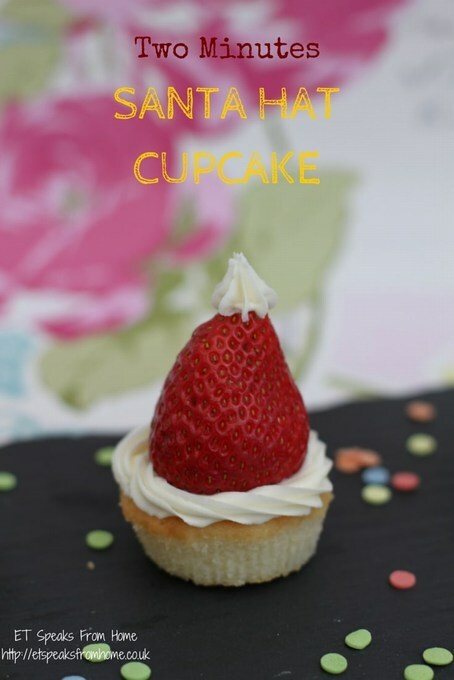 This is very simple Santa Hat cupcake and won’t take you too long at all. You will need a piping star nozzle and piping bag for this. To make these Spider-Man cupcakes, I applied quite a few shortcuts. I bought ready-mixed cupcake mixture, vanilla icing, white and black coloured icing pens from the supermarket. Also not forgetting fresh strawberries. The bigger the better but the stock in the supermarket were quite small small. After baking the cupcakes, I left them to cool before I put on the icing. I rolled out the white icing and then used a small cookie cutter to cut out the eyes. They are not brilliant but I tried! I dipped them in a tiny amount of water to make it stick to the strawberries. Then I used the black colour icing pen to draw around it. I was quite rubbish at this and the icing ran slightly. 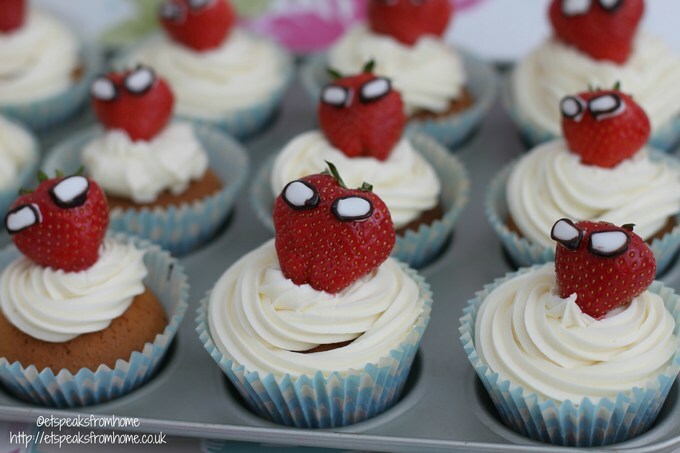 After the strawberries are decorated, place them on top of the cupcake and this is how they look. They are not the best Spider-Man cupcakes but they are good enough for my son! 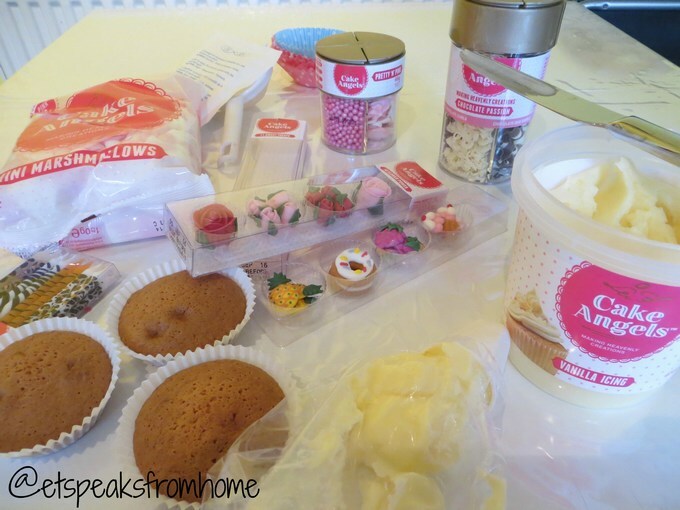 Baking can be quick and fun especially with the help of kits! 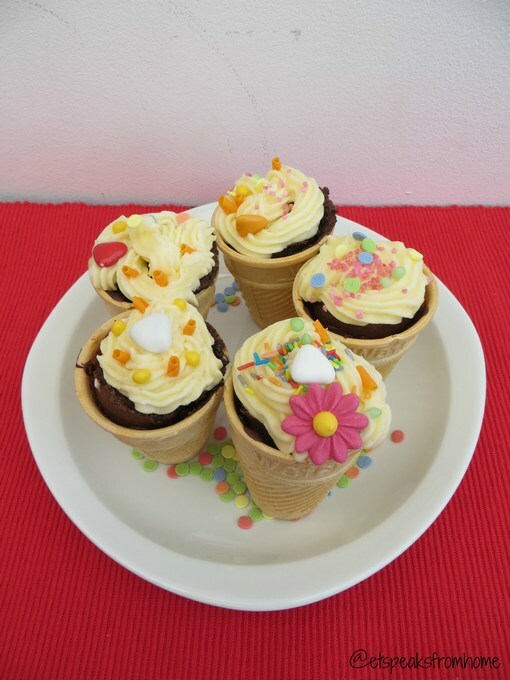 Cake Angels has kindly sent us their new Ice Cream Cone Cupcake Kit and a range of products to try out! Today is another cold and wet day and Mr C needed to work. So we decided to bake cupcakes and decorate it with Cake Angels. I had not heard of Cake Angels until now and now I wish I knew about them earlier! I know in supermarkets they tend to carry big brands like Dr. Oetker, Renshaw, Betty Crocker, and of course the supermarket’s own brand. What makes Cake Angels so special from the rest is that their ingredients are unique and made in the UK. Last week we were very busy and went to London for a mini break. 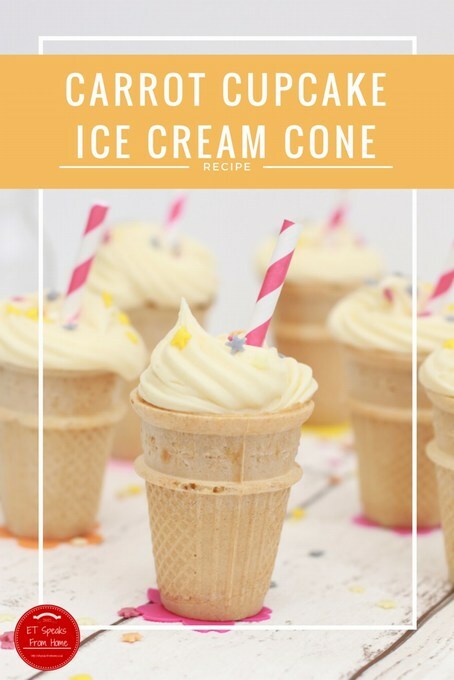 While we were there, +Anna Marikar (click here to read her event) kindly let me know about a Mr Muscle‘s children’s cupcake decoration class. We were fortunate that there was a last minute drop out so we were able to attend!